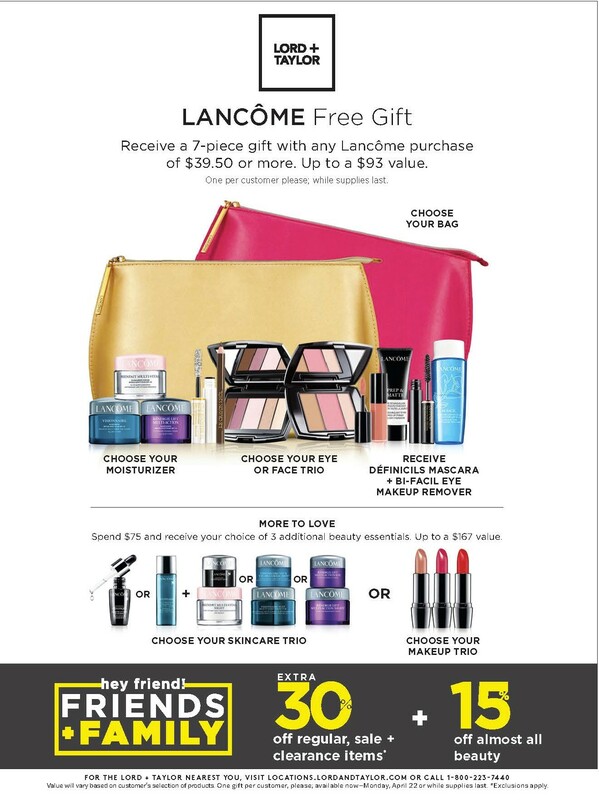 Lancôme: Receive a 7-piece gift with any Lancôme purchase of $39.50 or more. Up to a $93 value! Receive a 7-piece gift with any Lancôme purchase of $39.50 or more and save 15% on all your beauty purchases now through April 20th!